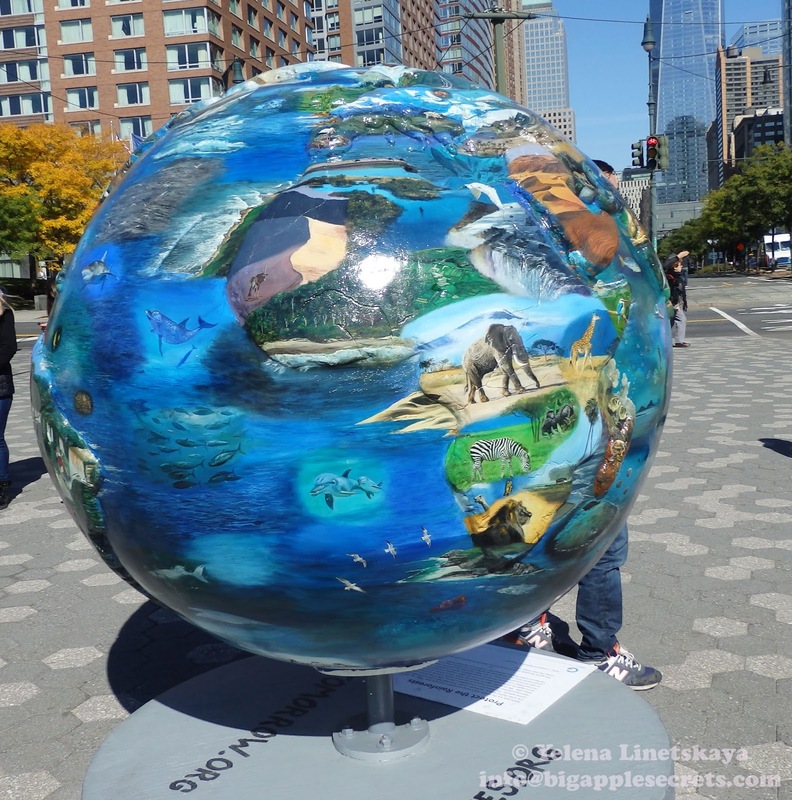 Cool Globes: Hot Ideas for a Cooler Planet is a public art project dedicated to increasing awareness of global warming. 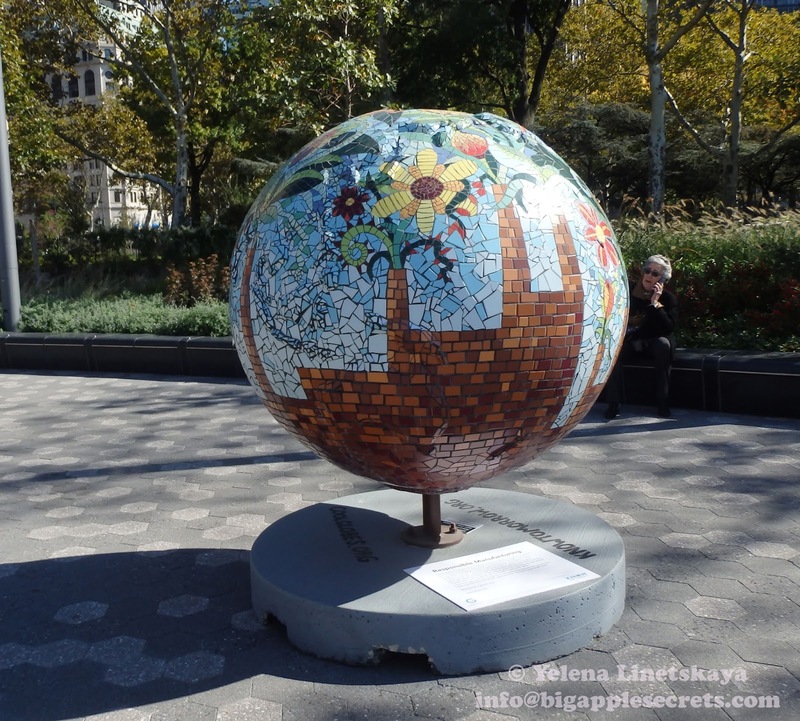 This eco-initiative was created by well-known Chicago environmentalist Wendy Abrams. In 2006, Chicago and world artists were asked to submit designs for solutions to global warming. 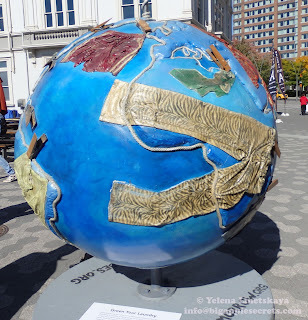 Each globe was to be sponsored by an individual, company or organization. 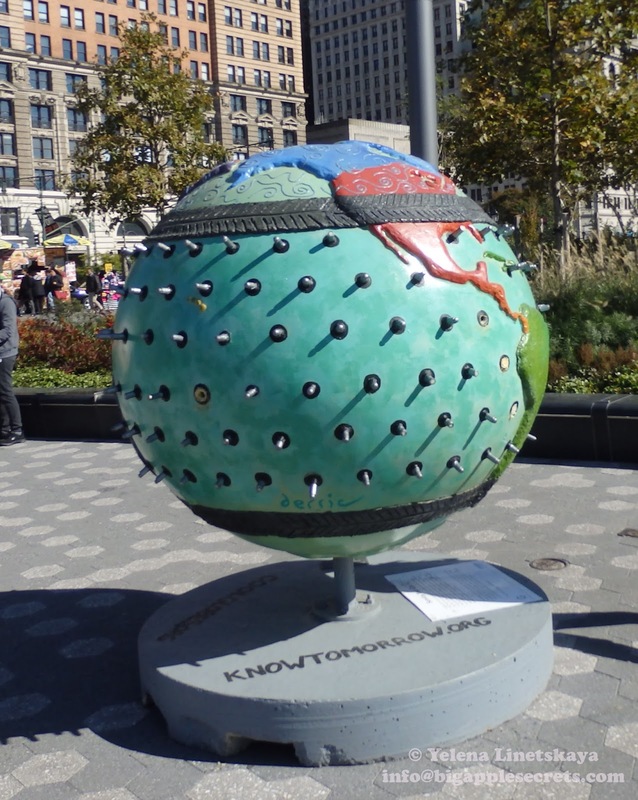 Completed globes were mounted along different places in Chicago. 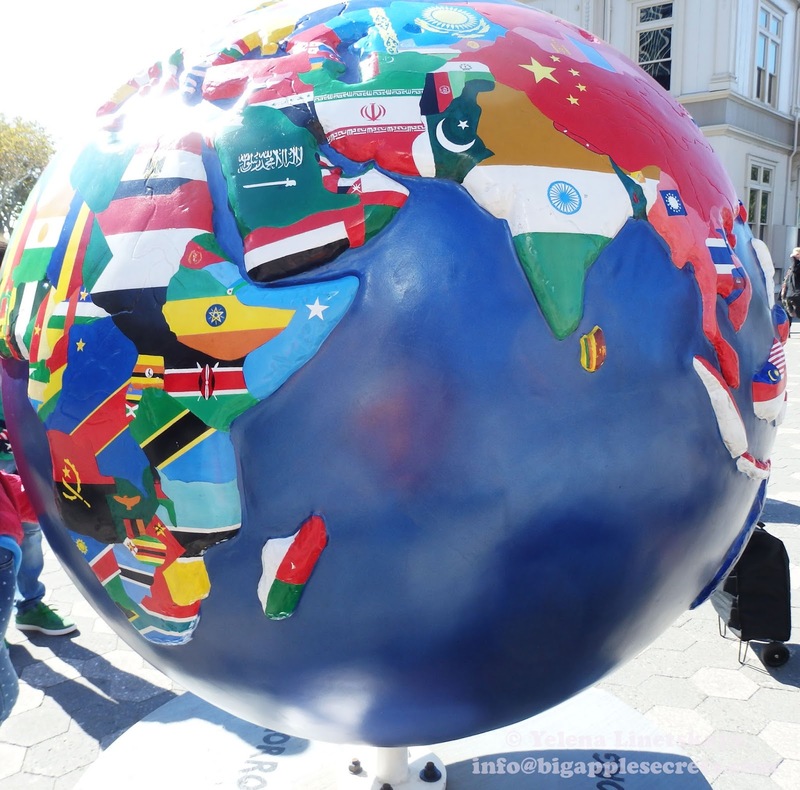 Cool Globes has visited more than a dozen cities around the world. In 2009, Cool Globes began its International tour in Copenhagen., In 2011 there were more than 50 globes installed in Amsterdam, in 2012 Globes visited Vancouver. 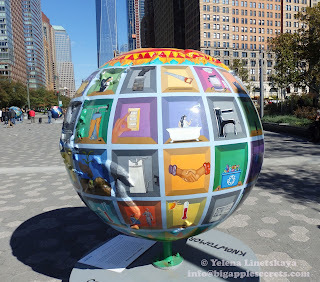 Two years ago Globes were in Jerusalem and this fall the exhibition landed in New York at Pier A in Battery Park City. 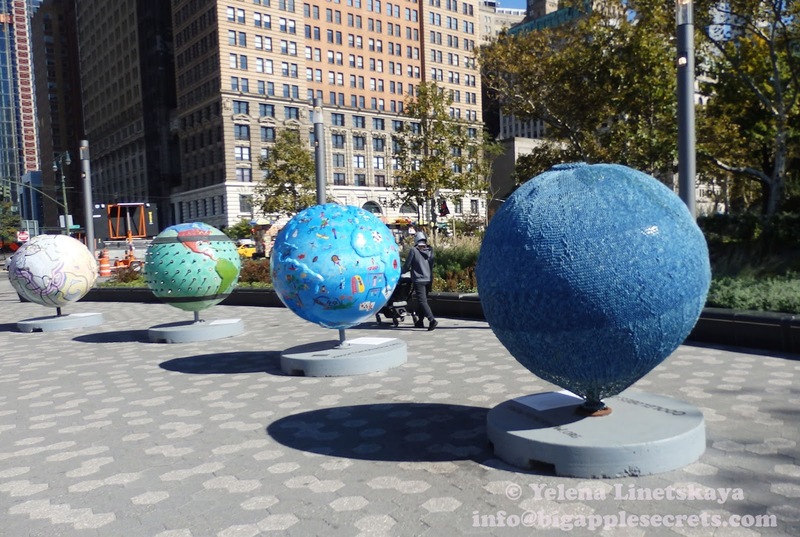 On September 23 governor Cuomo announced the installation of the “Cool Globes” exhibit, which will run through November 20. The public art exhibition aims to raise awareness of and inspire exhibit viewers to take actions on climate change. There are twelve globes installed, each is five feet in diameter, each with a message on a base on how both the public and businesses can help reduce and mitigate climate change every day through actions such as increasing energy efficiency in homes and businesses, purchasing products made with 100-percent post-consumer material, increasing recycling and greening urban landscapes.